An ongoing celebration of exceptional food and wine. Indulge in the finest prime steaks and discover new tastes with our award-winning list of 100 wines by the glass. 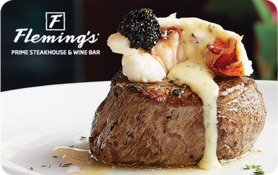 Fleming’s gracious service and dedication to excellence turn evenings out into memorable times.